Playford Football Club are thrilled to announce that Francis Interiors have again agree to continue sponsoring the club. 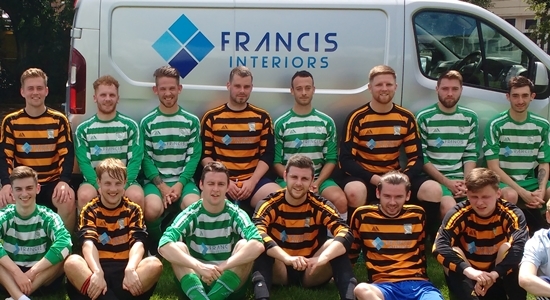 Francis Interiors are taking their association with the club into a third season. Francis Interiors' Owner, Daryl Francis said, To be able to support the club and help us continue to be competitive and successful for a third season is fantastic. Director of Football, Chris Jones said, There was no expectation for Daryl to continue his sponsorship into a third year, but the continuing generosity shown by Francis Interiors is the type of support all Sunday morning teams rely upon.